Gathering all of the client information you need at the beginning of any web design project is essential. Not only does it help you to maintain a level of professionalism that your customers will respect, but it will also help to identify any potential red-flags before the project begins. 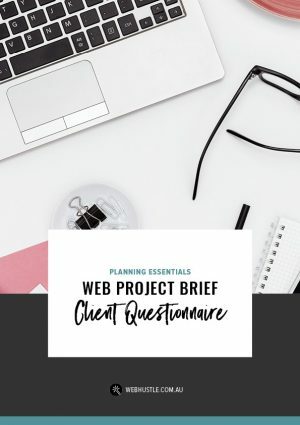 This guide outlines the information you should be requesting from your clients before starting a project – as a minimum! The more information you have, the better prepared you are for having a successful project and relationship with your client. These questions are a guide for you, so you can rebrand and send to your clients. Take this guide and recreate it for your own clients as part of their on-boarding process. Learn what essential information you should be requesting from your clients before your next web design project begins.